Even if you’re not a fan of the Hyundai Veloster N’s asymmetrical doors, there’s no denying it’s a performance bargain. With the Veloster N successfully launched, though, you have to wonder which model is next in line to receive the N treatment. 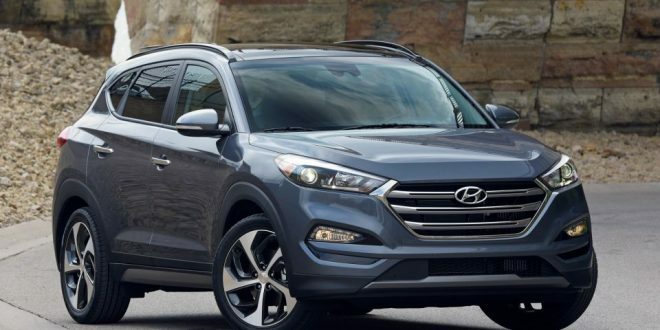 According to the latest report, it’s the Tucson. According to Auto Express, Hyundai’s compact crossover has been chosen to receive a high-performance makeover. Citing anonymous sources, the report says the Tucson N will be aimed squarely at the Audi SQ5. It’s also said to make about 340 hp and be able to accelerate from 0-60 mph in less than six seconds. In theory, that would also make it a direct competitor for the Ford Edge ST.
Expect handling to be more impressive than the acceleration, too. The anonymous source reportedly said that Hyundai is “not interested in making also-ran cars with N badges on them in whatever class they compete.” Hopefully, that means it’s also more fun to drive than the Edge ST.